Subtract 5 points from the favorite’s score and compare the result to the underdog’s score. Add 5 points to the underdog’s score and compare the result to the favorite’s score. See how many points the favorite won by, and subtract 5 points. If a result is a negative number or the dog won outright, then the dog beat the point spread. Sportsbooks typically put up point spreads that approximately divide the action among bettors and/or equally divide the chances of either team covering the point spread. Without any other information or opinion on the line, bettors should assume point spreads are fairly efficient. However, they are not always efficient, and this is when the smart sports bettor can take advantage of the sportsbooks. Sportsbooks change point spreads with new information. 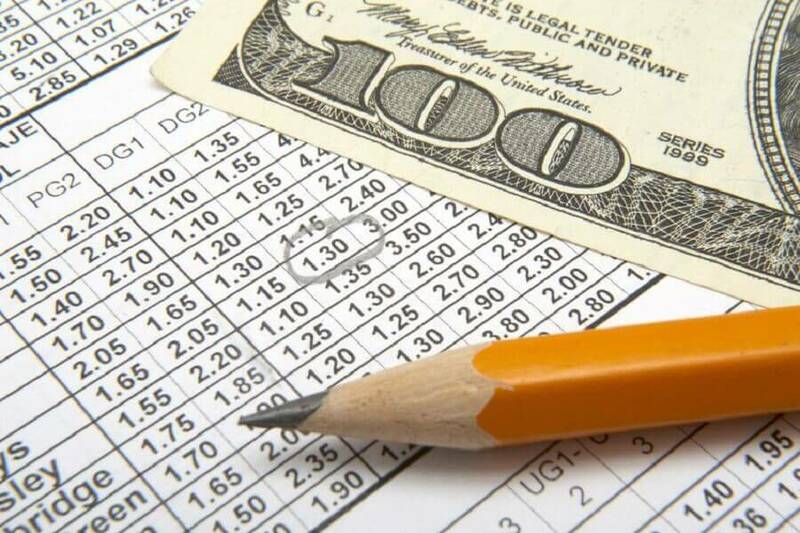 New information can be: heavy money being bet on one side; seeing money bet by certain bettors whom the sportsbooks respect highly; news about the participants in the event (such as injuries, suspensions, etc. ); and following other sportsbooks that have moved their line (called moving on air). Once you place a bet, the terms of the bet are fixed. The point spread may change as regards new bets, but the terms of an already-made bet will stay as written. Betting sports is not the same as pari-mutuel betting in horse racing. Point spreads have accompanying money lines as well, called the vigorish, the vigor the juice. Typically, the vig is -110; you have to risk 110 in order to win 100. Sometimes the sportsbook will have a big different from -110; instead of adjusting the point spread, the book may adjust the vig. For example, if the sportsbook gets considerable action on the Colts -3 -110, it might change the terms to the Colts -3 -120. Some sportsbooks offer reduced juice, some all the time and some during certain times of the week. Instead of -110 juice on point spreads, a book may offer -107 or -105. Some sportsbooks in Las Vegas offer reduced juice on the Super Bowl to attract business. A bet on the underdog money line usually is expected to lose more often than win. Rarely are you expecting that the money line is so inefficient that the market has the wrong team as the favorite. The most common exception is when the money line is close to even money. Underdog money-line bets can be positive EV even if they lose more often than they win. It is all about value. A way to evaluate money lines is to think of them from the same perspective as trading stocks, where you are looking to buy shares with value. To do this, convert the money line into percentage and compare to your estimate for the game. If there is a sizable difference, then you have a potential bet. For example, suppose you think the Cardinals should be a +150 (40%) underdog, but you are able to bet them at +160 (38.5%). From a stock-market perspective, you are buying shares of the Cardinals at 38.5 when you think they are worth 40; that’s good value and worth a bet. You do expect to lose more often than win even though you have positive EV on this bet. When the underdog does win, you expect to get paid more than your fair share, because you think the bet has positive EV. SportsGambler.com says When a wager pushes, sportsbooks refund the amount risked back to the bettor. If it is possible for a wager to push (a tie with no winner or loser), then an adjustment is needed when converting probabilities to money lines. The total probabilities that should be considered are the probabilities of the bet being a winner or a loser; ties should be taken out. If O’Neal gets exactly two blocked shots, then the wager is a push. In order to correctly convert the probabilities into a money line, you should throw out the probability of a push and just compare the winners and the losers. In this case, comparing the combined probabilities of 0 or 1 blocked shot versus the combined probabilities of 3 or more blocked shots. Taking out the 30% chance of a push leaves 70% chance the bet will be either a winner or a loser. Take the probability of each possibility in the distribution and divide by 70% to get the adjusted probability. The combined adjusted probabilities should equal 100%. Now add the adjusted probabilities for all the over possibilities as well as for all the under possibilities. In this case, it is 50% for each. Then convert those probabilities into money lines. In this case, both over 2 and under 2 blocked shots are 50%, so the equivalent money line is +100 for each.